Our Victorian profile is inspired from traditional designs from the period. 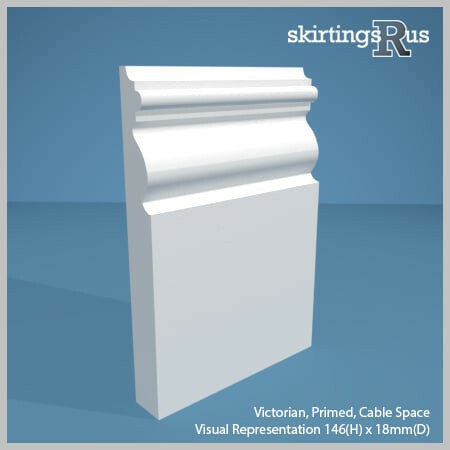 Victorian skirting boards offer a moulding headed by a soft beading, surrounded by elaborate linear detailing, recalling the appearance of Victorian architecture and design. Although well suited to period properties, this design will sit comfortable within almost any design scheme. 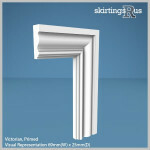 We recommend using Victorian for skirting boards up to 171mm high, but Victorian Large for anything taller. 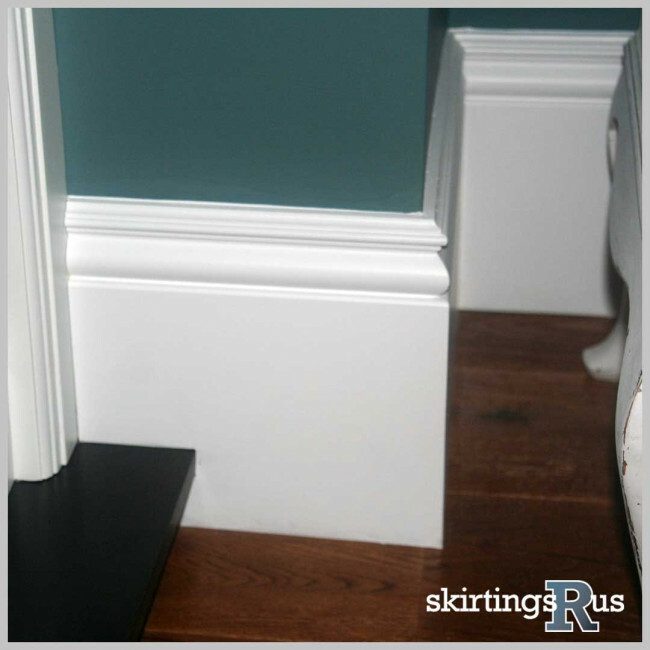 Our Victorian skirting board is made of a high density, moisture resistant (MR) MDF. 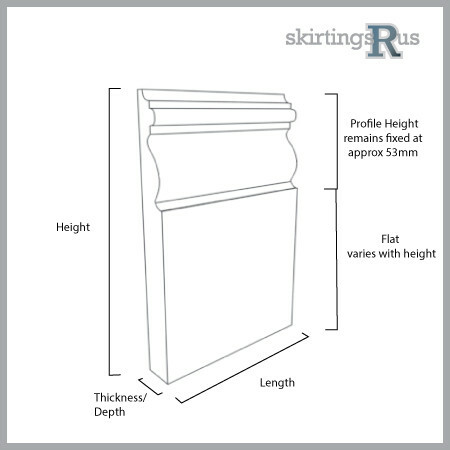 Victorian MDF skirting board is available in a variety of set dimensions. Please allow 100mm on each end of the length for transit damage and cutting. We can also offer bespoke skirting board heights at no extra cost. Victorian skirting boards can have a space machined out of the back of the board, allowing cables to be run and hidden behind it. 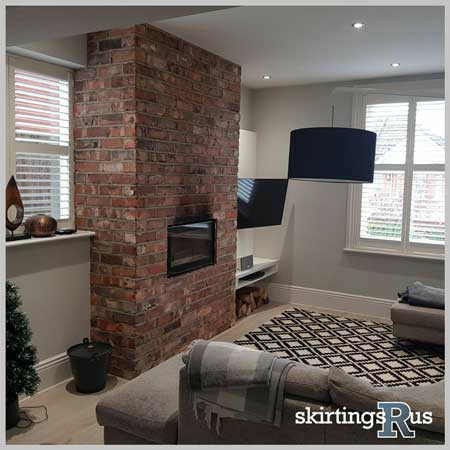 Our Victorian MDF skirting board is produced in house in our midlands based factory and is machined to order from the specification options above. If you can’t see what you’re looking for, then you should know we can cut to any size and undertake bespoke requests. For more information visit our bespoke page or feel free to give us a call!